Come learn and practice Yoga Nidra, the art of conscious relaxation and psychic sleeping. Learn a new skill to tackle the stress of these cold winter months! This complementary session will be led by our very own NYCCAP member, Dr. Jennifer Cabrera. There will also be time to network and mingle with light refreshments. 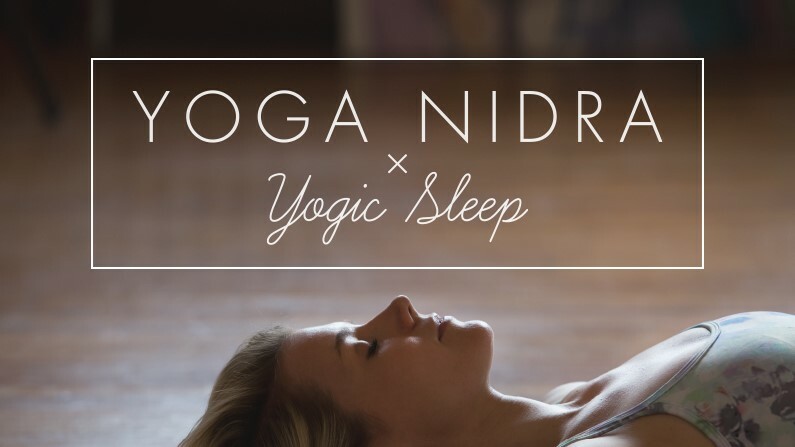 Yoga Nidra has been described as the art of conscious relaxation and psychic sleeping. It was brought to the West by Swami Satyananda Saraswati, who described it as "... a systematic method of inducing complete physical, mental, and emotional relaxation" (Yoga Nidra, Yoga Publications Trust, 2002). Studies have shown improved outcomes in patients with hypertension, PTSD, depression, anxiety, and insomnia. For those new to Yoga Nidra, it is important to note that it is not an active practice, but rather, a practice in stillness and meditation. Ideally, it is practiced laying down in savasana (final rest pose), but can be practiced sitting up as well. The body goes to sleep but the mind remains fully awake and aware. Brainwaves slow to alpha and theta frequencies, states between waking and sleeping, similar to the hypnagogic state. The mind is receptive, and the body restores itself even more efficiently than when the brain is in delta (deep sleep). It is an all-too-necessary practice in the busy NYC area, where most yoga practitioners are drawn to active/activating yoga styles, such as Hot Yoga, Power Yoga, and Vinyasa. If there's one new yoga or mindfulness/meditation practice you'd like to try or add to your self-care routine, we invite you to try this class with friends and colleagues, taught by one of our own NYCCAP members! Dr. Jennifer Cabrera is a Clinical Assistant Professor at NYU School of Medicine who works part-time in the Bellevue Child Comprehensive Psychiatric Emergency Program. She has worked with children and youth in the child welfare and juvenile justice systems, and has presented nationally and internationally about complex trauma, PTSD, resilience, and the juvenile justice system. She co-authored the chapter "Aggression" in the recently published book Beyond PTSD, Helping and Healing Teens Exposed to Trauma (Gerson MD and Heppell PsyD, eds). She is also a Registered Yoga Teacher at the 200 hour level, and has another 225 hours of continuing education in Restorative Yoga, Yoga in Healthcare, and Yoga Nidra. She recently completed a 30 hour children's yoga training and is working toward certification as a Registered Children's Yoga Teacher at the 95 hour level.